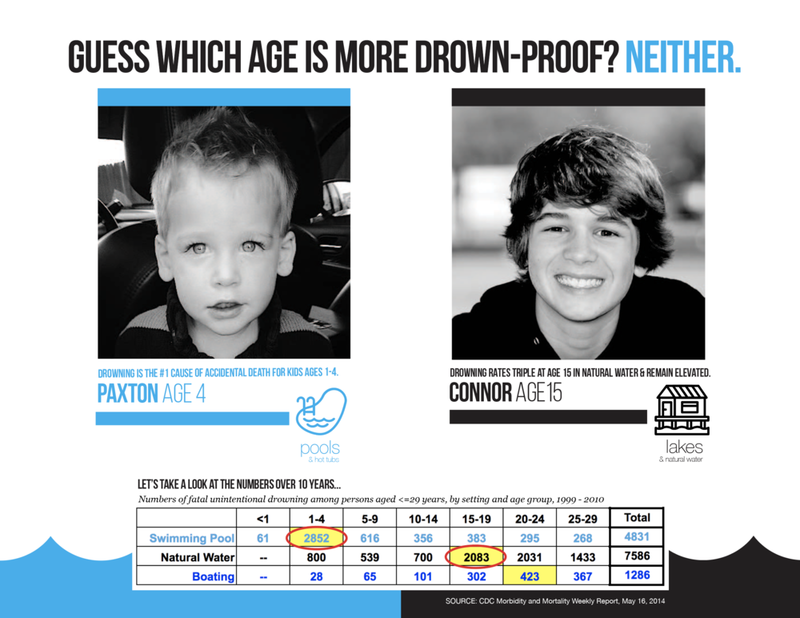 Multiple pool barriers: 70% of drownings happen during non-swim time. 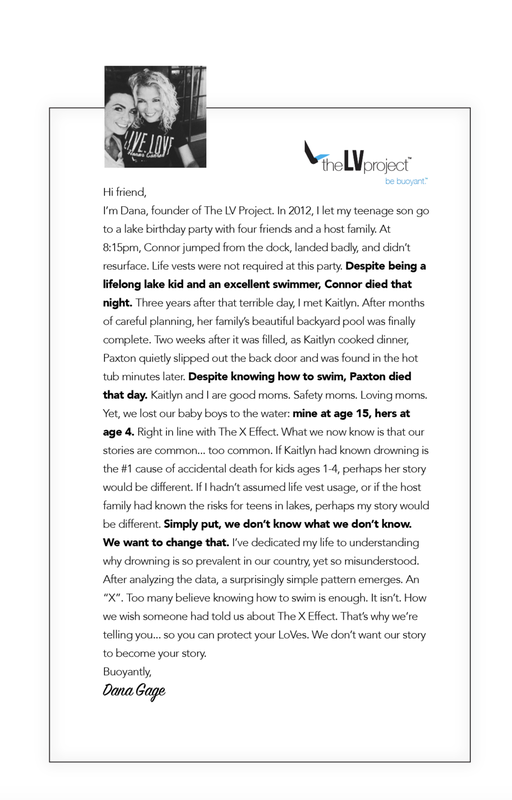 DANA GAGE, CONNOR'S MOM, IS FOUNDER OF THE LV PROJECT. KAITLYN WAGES, PAXTON'S MOM, SERVES ON THE BOARD OF DIRECTORS. All water. All ages. Always.